This Beveled edge radiator shelf is 1″ (25mm) THICK which is more durable then the normal shelf. 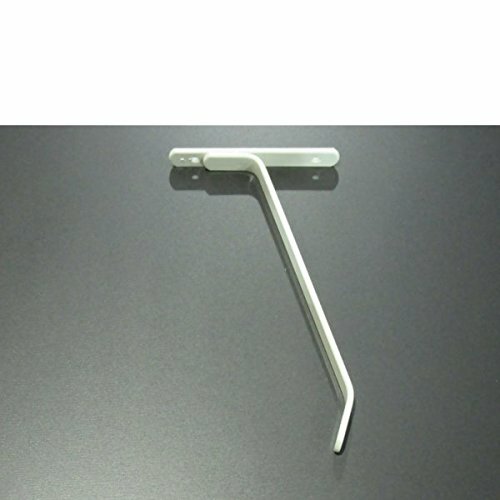 These are great for giving a decorative finish and helps utilise the space above your radiator, perfect for photo frames or picturesque ornaments. 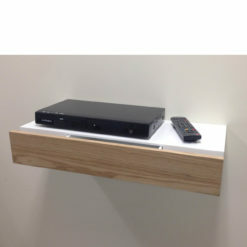 Also can be used to block heat from rising to your wall mounted tv. It is made out of man made density fiberboard (MDF) with a smooth rounded edge. 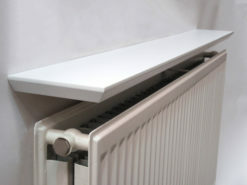 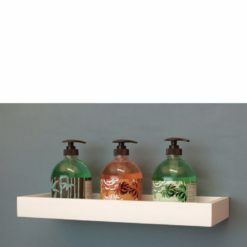 These are easy to fit radiator shelves by just screwing brackets into shelf and slot behind radiator. 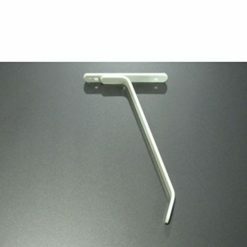 (brackets & screws included). 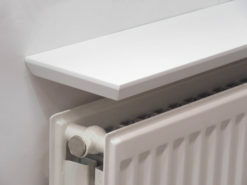 TIP: The gap behind the radiator should not be more than 90mm.